City of Revolution, Restructuring Manchester by Jamie Peck and Kevin Ward. The intellectual journey was rewarding. It took us from the daily concerns of residents of east Manchester to national policy initiatives and the relationship between the two. Geographically, the deprived communities of east Manchester became our second home! 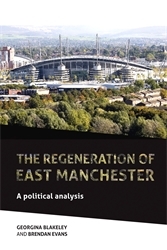 Working collaboratively was immensely rewarding but the most rewarding part of writing the book was listening to the concerns and ideas of residents in east Manchester and interviewing local government officials tasked with delivering the regeneration initiatives. Combining writing the book with the pressures of working and family life. Both satisfied with the outcome but also a sense of responsibility towards potential readers for the quality of the output. MUP are a reputable publisher and because the book has local interest to Manchester, MUP were the logical choice. The timescale of the research was about 10 years so this had implications both for the energies and enthusiasm required to keep the project going as well as for the ability to understand how the regeneration project changed over the course of time. 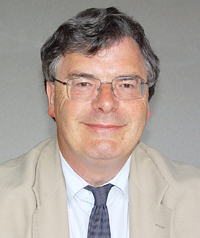 Combined authorities and city-region devolution with a particular reference to Greater Manchester.